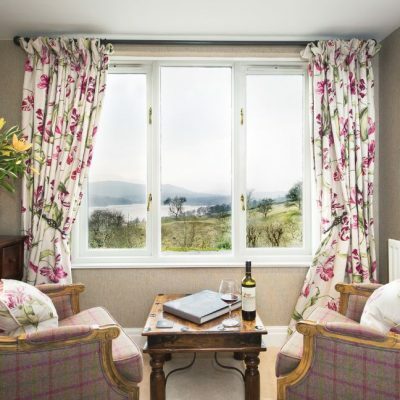 The Lodge rooms at Holbeck Ghyll are located nearby to the main house and enjoy either a balcony or terrace area. 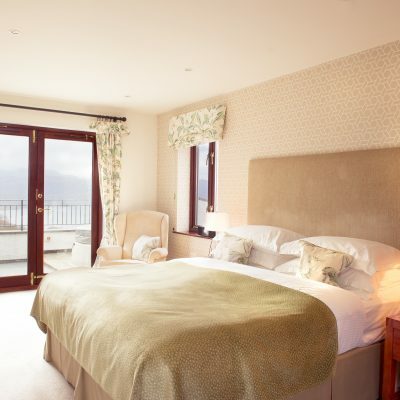 The rooms have been decorated in a cosy, homely style and are perfect for a Lake District retreat. These rooms are also perfect for guests with four paws too! We’re proud to be one of the few luxury Lake District hotels that welcome your well-behaved dogs allowing you to enjoy this spectacular area with all the family. A large open-plan lake view suite with balcony and spiralling staircase leading to a wonderful reading nook. 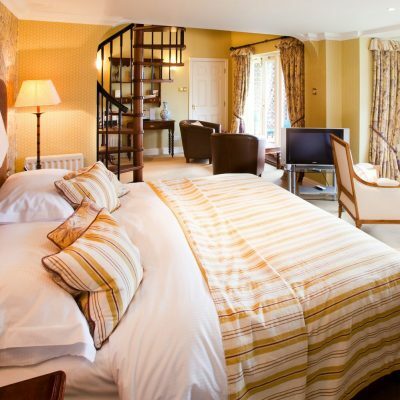 Junior suites are the largest rooms available in the main house and feature spacious open plan lounge areas to relax in. 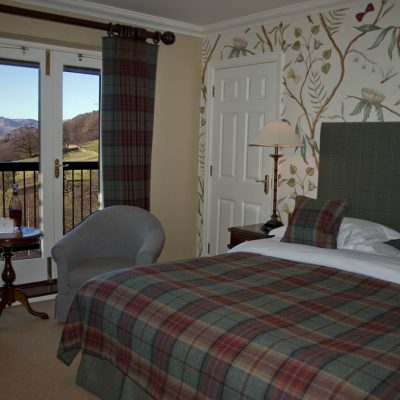 Our luxury rooms are spacious in size and enjoy a lovely sitting area allowing you to enjoy fabulous views. We believe that it is the little touches that make a big difference. From a complimentary welcome tipple of Damson gin to help you settle into your room on arrival, to a nightly turn-down service ensuring your room is ready to welcome you after dinner, our team are constantly striving to ensure that your stay is as enjoyable as possible. We love dogs at Holbeck Ghyll and completely understand that they’re members of the family too! We’re proud to be one of the few luxury Lake District dog friendly hotels that welcome your well-behaved pets in our collection of lodge rooms (up-to two dogs per room). Should you decide to bring your dog with you, your four legged friend will be treated to their own dog bed, blanket and a few treats to help them settle in and (of-course) lots of fuss and attention from the entire team! Our lodge rooms lead out into our grounds and gardens which follow-on to popular circular walking routes such as Wansfell Pike and Jenkins Crag. These rooms are perfect for enjoying relaxing strolls through our grounds or gardens and offer a homely retreat after a day out exploring the area. No experience is complete without a visit to our award-winning restaurant for dinner. Stunning dishes served in an intimate and refined atmosphere, coupled with an attentive and friendly team has made a dining experience a must for all visitors of the hotel. Is there anywhere to walk the dogs? Of course! 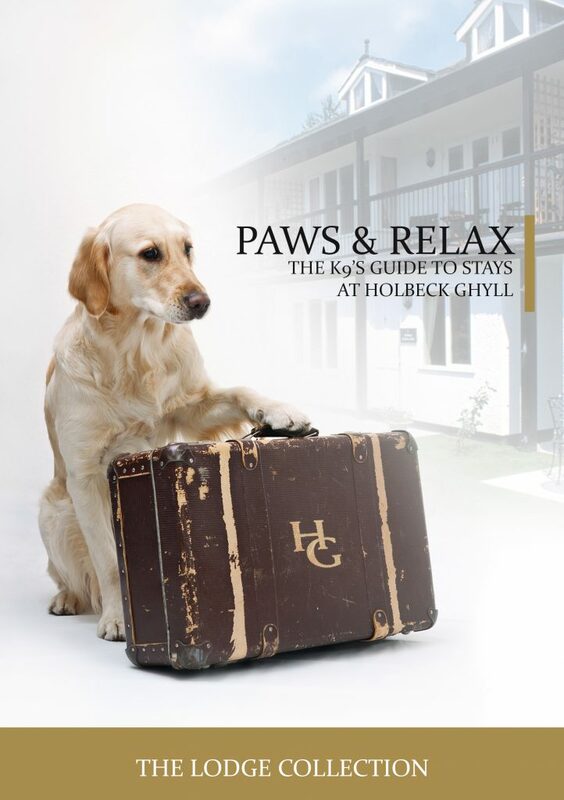 Our dog friendly rooms are located in the hotel grounds and gardens which lead onto a variety of popular walking routes. We do ask for dogs to be kept on a lead whilst in the hotel grounds due to deer, neighbouring livestock and courtesy towards other guests. Is the dog allowed in the restaurant or hotel lounges? We do ask for dogs to be kept out of the hotel restaurant during breakfast, lunch and dinner (excluding guide dogs). Unfortunately this does mean that dining with your dog is not an option, however we do offer room service breakfast and dinner options should you wish to stay with your dog at all times. We do allow dogs in our bar lounge from 7.00am to 6.00pm or anytime in our inglenook lounge (fireplace near reception). Can a dog be left in the hotel room? Your pet does miss you when you are gone, and (when in new surroundings) can sometimes behave a little out of character. With this in mind, we do ask that your dog is not left alone for prolonged periods of time.Dogs can be left in a hotel bedroom if they are caged, if your dog is not cage trained (or you are heading away from the hotel), dogs are not to be left in hotel bedrooms.